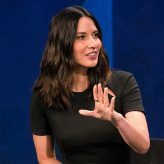 Home » Posts Tagged "box office"
Olivia Munn will be honored for her sexual harassment fight, Margot Robbie will produce femme-focused Shakespeare series, and inclusion rules at the box office in 2018. 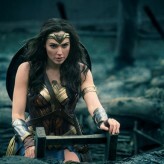 Despite the blockbuster success of ‘Wonder Woman’ and other femme-led films, the number of female protagonists was down 5 percent in 2017’s 100 top-grossing films, according to the latest edition of the annual “It’s a Man’s (Celluloid) World” report. 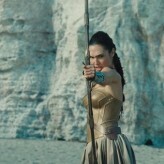 THE WEEK IN WOMEN news roundup: ‘Wonder Woman’ keeps winning at the box office and defying expectations, ‘Megan Leavey’ helmer Gabriela Cowperthwaite talks about the need for women to see themselves on screen, and Ava DuVernay and Oprah Winfrey discuss making an effort for inclusion. 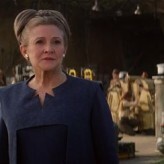 Carrie Fisher is out of ‘Star Wars: Episode IX,’ Cate Blanchett makes history as Marvel’s first female villain in ‘Thor: Ragnarok,’ ‘Beauty and the Beast’ crosses $1 billion, and Reba McEntire reveals name of her new TV show. Disney’s live-action remake of “Beauty and the Beast” again dances to the top of the domestic box office, while Goldie Hawn will be named a Cinema Icon at this week’s CinemaCon in Las Vegas. 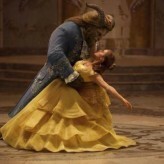 Disney’s live-action remake of “Beauty and the Beast” proved magical, setting several box-office records over the weekend. The lavish movie-musical version of the fairytale story conjured up an incredible $170 million in North America and $350 million globally. Along the way, it became the biggest debut of all time for a female-fueled film. 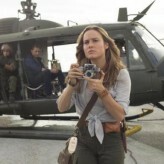 The “King Kong” reimagining “Kong: Skull Island” gives the main female character – played by Oscar winner Brie Larson – an overhaul nearly as dramatic as the supersizing of the gigantic gorilla. Throughout this film awards cycle, “Hidden Figures” has been the crowd-pleasing, uplifting fan favorite. 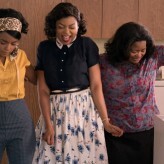 This weekend, the fact-based period drama about the African-American women who worked behind the scenes at NASA during the space race won the top prize at the SAG Awards and crossed the $100 million mark at the domestic box office. After more than a decade of commissioning research and advocating for change through her Institute on Gender and Media, Geena Davis says that she believes Hollywood may be at a “turning point” regarding gender equality. 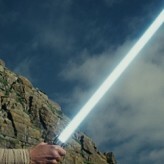 Star Wars: The Force Awakens took top North American box office for its fourth weekend, grossing $41.6 million from 4,134 theaters for a total $812 million. 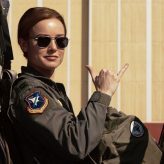 It’s the first movie to cross $800 million in the U.S., and it’s got a female leading character who is central to the plot. 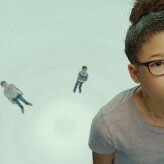 This is the third year in a row that the top-grossing movie of the year has featured a female main character. It even bested this year’s Golden Globes big winner, the gritty mostly-male survival tale, The Revenant, and other Golden Globe grabbers. 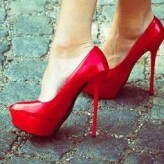 While the Cannes Film Festival created a controversy over its rule that women wear high heels to some screenings, back in Hollywood, it became clear that some filmmakers are real heels of the ageist variety.